We’ve reached the point of no return as far as digital media is concerned. I’m only in my twenties and there are dozens of social media sites that I have yet to lay eyes on and I don’t exactly understand all of their terms. Today’s we’re going to discuss the use of personas on social networks versus the use of the actual individuals’ names and true profiles. For some reason, Google has decided that it wants to dominate the social media universe and has started connecting everything to our Google accounts. Honestly, I blame the Android revolution. They figured it was a good idea to tie your phone to your accounts, so why not tie your YouTube account to your email also? In their world, everyone should be able to see what videos you watch, and what your comments are. Facebook thought this was such a great idea that it jumped on the lack of privacy bandwagon by pseudo-forcing you to put your name up there for all to search and see. No personas here! Only the real deal. But what if you actually value your privacy, or simply want to live the life you never thought you could via the cyberverse? Well, let’s go ahead and set you up with a Twitter account! Or maybe Instagram? How about Snapchat? Or Tumblr? Why be yourself when you can easily be someone else, and say all the things you wish your true identity could say? After all, only a select few can really pull off the Dr. Cox sarcasm and get away with it, right? 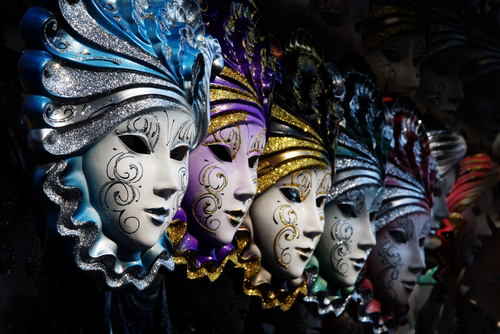 Truth be told, there are a few pros and cons to using your real identity and your persona. There’s also a decent sized gap in the use of social media. Let’s break down the demographics first. This is where you’ll see a lot of the younger generation. Instagram, Twitter, Snapchat, and a plethora of other short term, quick and to the point, social media platforms have made fake lives a little bit easier and a lot more appealing to those who are still worried about stranger danger or their high school friends finding them. Teenagers have realized that parents can’t find them if they post with a fake name. College students have figured out that this is how they can talk about secret obsessions without hurting their job prospects. Usually the demographic for these types of social media fall between the ages of 18 and 29 in the overall spectrum – perfect for those looking to experiment with life and explore their options. On the flip side, some people have no problem with spreading their identity around the Internet. Most of the people who use things like Facebook are well within the realm of consenting adult age. In fact, Facebook seems to be the place to go to reconnect with old friends and family that you might’ve distanced yourself from in the first place. If you want to go with another means of adult social media (get your head out of the gutter), you could look at LinkedIn. Most LinkedIn users fell between the ages of 35 and 54 last year with a close second of 25 to 34. With your persona, you can jump into distant lands and become the princess or prince of the Internet. You can throw caution to the wind and follow random strangers and create non-existent cyber relationships. You can actually dissuade the stalkers and keep talking about your obsession with the newest My Little Pony show and not have your old college friends or current co-workers ride you about being a weirdo. To be honest, you’ve got the freedom to do exactly what you want without people judging you. You know, as long as no one actually finds out who you are and rags on you for that. Using a persona can royally destroy you if you don’t keep it hidden and far enough from your true identity. You have to be careful not to post an actual picture of yourself in case someone finds your persona and decides they want to and divulge any and all information about you in that nifty little comment box. Using your actual profile can give you props on the World Wide Web. If you create a piece of content that gets a million shares then you’re on your way to a strong portfolio. You can also be considered an asset if you keep up the good work and could land a few jobs in the process. Just be careful not to get your stuff stolen. Using your actual name opens the door to stalking and cyberbullying. Let’s not forget that using your actual profile can land you in a deep pile of crap if you post some off-color comment or a picture where you got drunk in your mother’s lingerie. That’s how you end up in the unemployment line with very little chance of achieving a real job. Then again, your YouTube views might jump through the roof if you do that. Now, here’s the real question: can we coexist in the world of fake personas and real profiles? The answer is yes. We can easily coexist if we remember to keep our personal lives separate from our professional lives, and make sure to take measures to do so. Your boss doesn’t want to hear about the bender you went on last weekend and your online community doesn’t want to hear about your Q3 reports. In fact, coexisting might be a very good thing. Parents don’t want their kids giving out their information, and parents don’t want their kids learning about their old college days. My only word of caution, and yes I’m beating this home, is to keep them separate. Don’t get cocky, because everyone gets caught. Keep in mind, too, that just because you put up a fake profile doesn’t mean someone won’t figure it out. Be careful what you post either way and you should be good.